Another surprise from space: Massive dust storms on Mars have meteorologists scrambling for explanations. 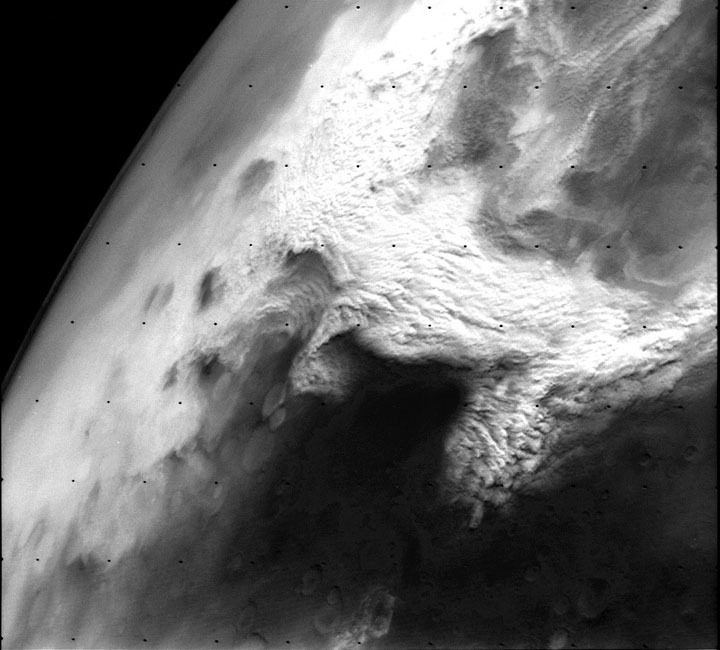 Is it solar heating, or electricity, that powers these storms in the near vacuum of the Martian atmosphere? The spacecraft Mariner 9 was the first probe to orbit the planet Mars. As it arrived at the Red Planet in 1971, NASA scientists were shocked by the view—the most horrific dust storm they had ever seen. The entire planet was engulfed in a deep haze, with only the peak of gigantic Olympus Mons penetrating through the clouds. For several decades, the energetic dust storms on Mars have posed unanswered questions for meteorologists. How can an atmosphere only one percent as dense as Earth’s remove dust from the soil and accelerate it into massive clouds circling the planet up to 40 miles or more above the surface? The storm did not begin to subside until October. 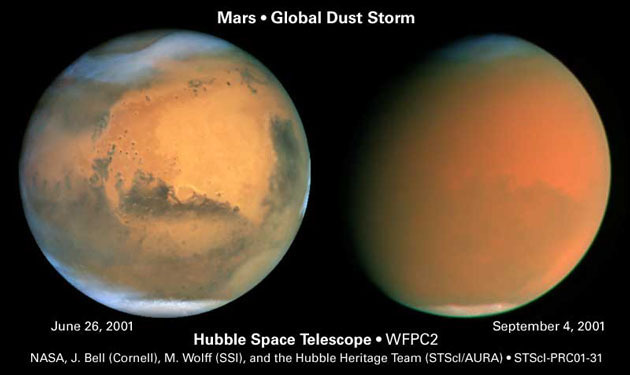 It was the greatest dust storm ever observed on Mars, and it left meteorologists scratching their heads. How was the dust excavated from the surface? What held the dust aloft? What accelerated the winds and dust across the near vacuum of Mars’ upper atmosphere to speeds greater than 250 miles per hour? With its Thermal Emission Spectrometer (TES), the orbiting Mars Global Surveyor measured thermal effects associated with the storm. As the storm clouds began to surround Mars, temperatures rose a stunning 40 degrees C—a case of “instantaneous global warming” that continues to haunt meteorologists. Most “explanations” of the dust storms begin with radiant energy from the Sun. It is known that the storms are most frequent and severe when Mars is near perihelion (its closest approach to the Sun). So the specialists believe that thermal effects of solar radiation must provide the energy of the storms. But this rationale requires an effect considerably more energetic than the cause. Mars’ orbit has an eccentricity of 0.093. Although greater than the Earth’s orbital eccentricity of 0.017, at Mars’ distance from the Sun the change has little more than a trivial influence on radiant energy input. In fact, if thermal effects are the cause, then seasonal orientation of the planet’s axis should contribute much more to dust storms—with clear hemispheric differentiation. This is not the case, however. But in the Electric Universe, interplanetary currents focused on the Sun play a vital role in charging up planetary ionospheres—a key to understanding the evolution of weather systems. 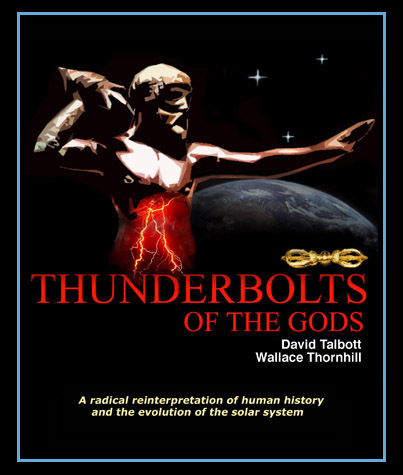 Electric theorist Wallace Thornhill likens the Earth’s atmosphere to the “self repairing, leaky insulation” between the conductive plates of a global capacitor. The conducting ionosphere forms one plate of the spherical capacitor, while the Earth’s surface is the other. Lightning manifests the “leakiness” of the capacitor, as currents break through the insulating atmosphere to dissipate charge. The clear-air voltage gradient of Earth at sea level is about 100 volts per meter. In standard meteorology, it is the electric power of thunderstorms that “charge-up the ionosphere”. But the electric theorists see this as an inversion of cause and effect. 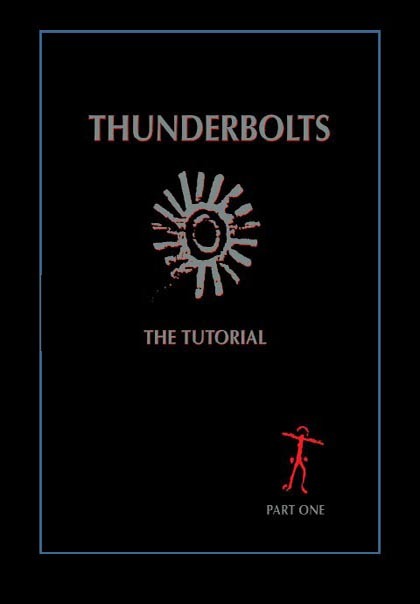 There would be no thunderstorms in the absence of Earth’s electric field. Since Mars has no thunderstorms to “charge-up its ionosphere,” it should present a good case study of the Electric Universe. The electrical model predicts that the Martian ionosphere is indeed charged, and it posits no isolated dynamo to “separate charge.” On Mars, electrical effects will reach directly from the ionosphere to the surface without the ameliorating leakage via storm clouds that we see on Earth. Unlike radiant energy from the Sun, electrical energy can accumulate in the “planetary capacitor” for some time, with a potential for planet-altering events when the atmosphere finally “breaks down” and massive discharge activity is initiated. At the same time the electric currents flowing in the Martian ionosphere will drive the high-speed winds in the upper atmosphere. 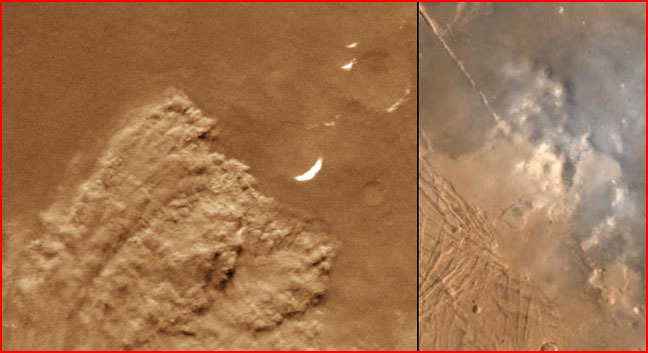 In the two Martian dust storm images above, it appears that the dust is being jetted upwards rather than being blown along the surface. This is explicable in the electric tornado model and explains how dust is raised efficiently many kilometers into the thin air and suspended for a time electrostatically. The role of violent vortices on the leading edge of dust storms is particularly clear in the image we’ve placed here. Closer examination should show that these tornadoes form preferentially on high points and the sharp edges of craters or escarpments. The twisting columns on the leading edge of the storm suggest vertical movement that is inconceivable in an electrically inert near-vacuum. Perhaps the closest analog to these columns is the network of twisted filaments—electric tornadoes, according to Thornhill—seen most clearly erupting from beneath the Sun’s photosphere on the margins of sunspots. The Electric Universe identifies the dust storms on Mars as electric discharges etching the surface in the same way that, in industrial applications, electric discharge machining etches metallic surfaces. Though the Martian tornadoes and dust storms lack the power of the electric arcs that carved planetary surfaces in a former epoch, they can certainly leave their signature on the Martian surface today. In space, another good analog would be the newly forming dust jets of comets, when they begin to etch the surface of the nucleus as it enters more deeply into the Sun’s electric field. See Picture of the Day, Dec 29, 2004, Electric Comets and the ‘Domino Effect.